Wikipedia is a voluntary organization dedicated to the noble goal of decentralized knowledge creation. But as the community has evolved over time, it has wandered further and further from its early egalitarian ideals, according to a new paper published in the journal Future Internet. In fact, such systems usually end up looking a lot like 20th century bureaucracies. This may seem surprising, since there is no policing authority on Wikipedia—no established top-down means of control. The community is self-governing, relying primarily on social pressure to enforce the established core norms, according to co-author Simon DeDeo, a complexity scientist at Indiana University. He likens the earliest Wikipedia users—most of whom hailed from the ultra-nerdy Usenet culture of the 1990s—to historical figures like Rousseau, Voltaire, and Thomas Jefferson. “But what happens when a tiny Thomas Jefferson Libertarian fantasy has to grow up?” he told Gizmodo. To find out, he and Indiana University undergraduate Bradi Heaberlin decided to examine the emergence of social hierarchy and online behavioral norms among the editors of Wikipedia. They examined 15 years of Wikipedia data, involving tens of thousands of individuals, from 2001 to 2015. Their conclusion: “[It] looks like a university system, or like General Electric, or AT&T,” said DeDeo. What makes Wikipedia such a good test case is that it was founded in January 2001, during the very early days of the internet. The community is now roughly the size of the city of Santa Fe, New Mexico, home to the Santa Fe Institute, where Dedeo is an external professor in the Laboratory for Social Minds. It’s a massive data set, with more than 5 million articles, millions of “talk” pages, and over 587 million editing events. And since every edit and discussion is exhaustively tracked and tagged, this particular data set is positively “drool-worthy” from DeDeo and Heaberlin’s perspective, enabling them to construct a highly accurate computer model for the community’s evolution. Image: S. DeDeo and B. Heaberlin. This makes it possible to track how complicated abstract ideas like honesty, fairness, and authority emerge and evolve in a community like Wikipedia, in much the same way financial analysts track prices and monetary flow. One of their most striking findings is that, even on Wikipedia, the so-called “Iron Law of Oligarchy”—a.k.a. rule by an elite few—holds sway. German sociologist Robert Michels coined the phrase in 1911, while studying Italian political parties, and it led him to conclude that democracy was doomed. “He ended up working for Mussolini,” said DeDeo, who naturally learned about Michels via Wikipedia. He and Heaberlin found that the same is true of Wikipedia. The core norms governing the community were created by roughly 100 users—but the community now numbers about 30,000. Their analysis demonstrates that Wikipedia is actually quite conservative from an evolutionary standpoint: it preserves those aspects that worked early on. As the community added new members and grew rapidly, 89 percent of the core norms stayed the same. Nobody ever overthrows an existing norm, and nobody creates a new norm that becomes as dominant as the original core norms. If a particular norm was important in 2001, chances are it was still important in 2015. Over time, these four central communities become increasingly separate and interact with each other less and less. In a complex network, this is known as decoupling. First the core norms are established by the community’s founding members. Gradually, they become more abstract and universal—a way of rationalizing the institution. “They function less to regulate behavior and more to justify the system and give it a sense of legitimacy,” said DeDeo. So instead of the pragmatic “Don’t type in all caps,” the norm becomes “Be civil.” Eventually these core norms achieve an almost myth-like status. And inevitably, they begin to conflict with each other. Yet attempts to resolve such conflicts are rare: instead, you get the emergence of tribalism. For some Wikipedia users, the most important aspect of the community is collaboration and mutual respect. Others value providing verifiable neutral information, or view Wikipedia as kind of a “Noah’s ark” repository of information should civilization collapse. Those obsessed with content policy may think the most important aspect of Wikipedia is that it is open and shared freely. 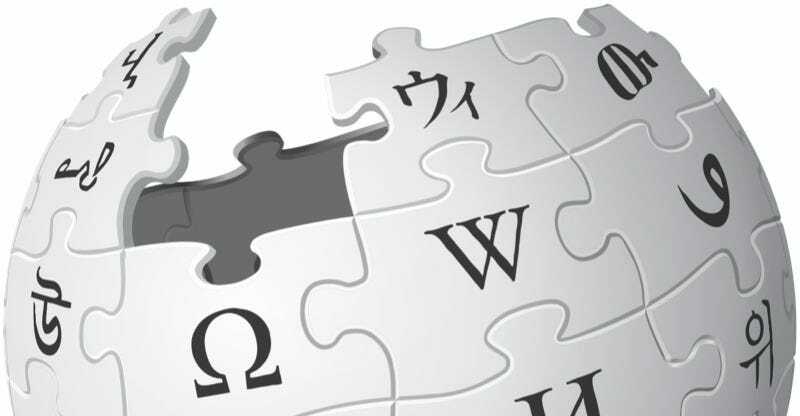 DeDeo and Heaberlin performed a purely mathematical analysis of broad trends in the Wikipedia data, connecting this hyper-quantitative approach with sociology and political science. The next step is to collaborate with cultural anthropologists to undertake a close reading of all those inter-linked individual pages.